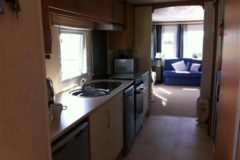 The Caravan is double glazed throughout with electric heating and external doors are extra wide. Internal doors are sliding, to allow easy access to all areas opening up to 85CM. Entry to the Caravan is via a low rise ramp from ground level. 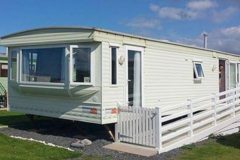 It is sited in Borth, Wales, on the privately owned Searivers Caravan Park. Details of which can be found on the Searivers leisure web site. 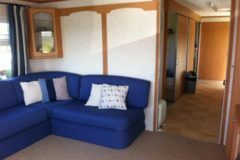 The Lounge allows maximum manoeuvrability for wheelchairs and has a panoramic window with ample seating. There is a TV in the with freeview box and also a in the twin room. The modern, wide access kitchen is well equipped with Cooker, Fridge / Freezer, Dishwasher, Microwave, Toaster and plenty of storage. 1 x double bedroom with 1 double bed and 1 single! 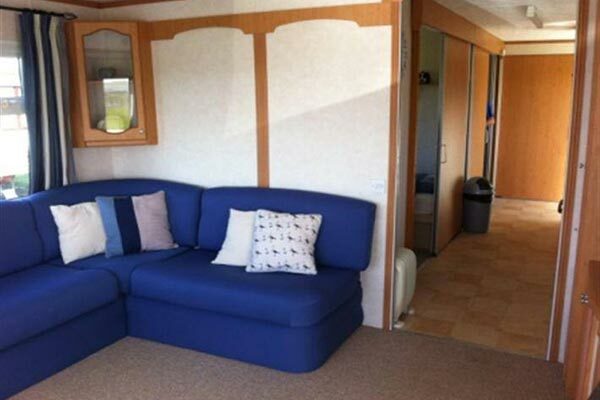 1 x twin bedroom with twin single beds and TV and freeview box. An additional double bed is a pullout system in the lounge. 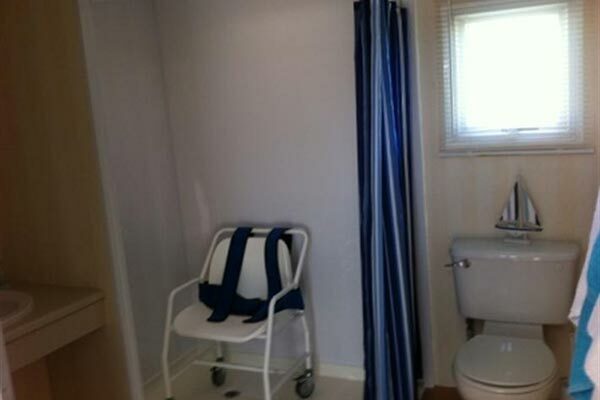 Bedding can be supplied and beds made up on arrival for an additional £20. Weekly rates advertised, however we will consider weekends, long weekends and mid week breaks.